Interesting enough that this might be #20 for me. 🙂 Out of all of them, if you had to choose just one of the group, which would it be? Right now, it would be a toss-up between P. cancerides and Phormictopus sp. purple. 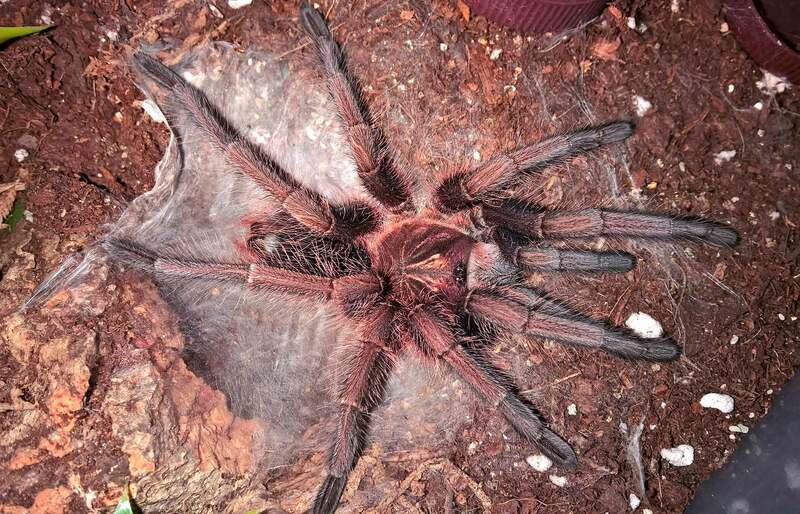 The P. cancerides was the species that introduced me to this genus, so there’s some sentimental value there. The females are a gorgeous bronze and the males are an amazing purple. The sp. purples are a bit more frisky and, well, they turn PURPLE. I love purple, so that’s a huge draw. Ha! Good point. I don’t think you’ll be disappointed. They have a ton of personality, grow really fast, and they’re a good gateway to keeping T that require a bit of moisture. If you get one, let me know! I’ve been trying to spread the love for the Phormictopus for a while, so I love to hear when someone tries them out. Another great post, Tom. I, too, have a cancerides. Mines a 1.25″ sling, and you are right….feedings are awesome. It’sike a little linebacker taking down the QB!! Thanks so much! I LOVE that more people are giving this species a try. Wait until you see how quickly they put on size. 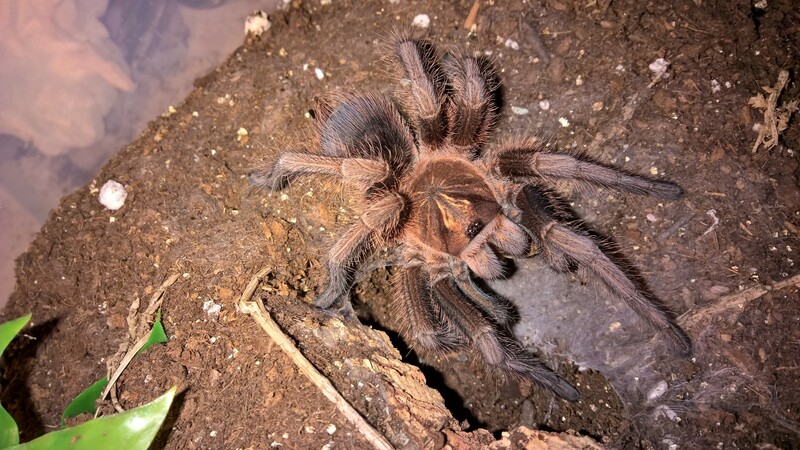 I just had one molt from about .75″ to around 1.25″…what a jump! And I could watch these guys eat all day…linebackers is a great description! sir I just like to ask if how do you differentiate phormictopus cautus from sp violet? what are their differences from your point of view? This is a fantastic question! I’m assuming that you mean physically? To be completely honest, I find it very difficult to tell, as the photos I’ve viewed of each don’t offer much in the way of differences (besides differing lighting). This genus is a bit of a mess right now, and many “species” are being sold as different colors as their designation (I now have sp. blue, sp. purple, and sp. green). 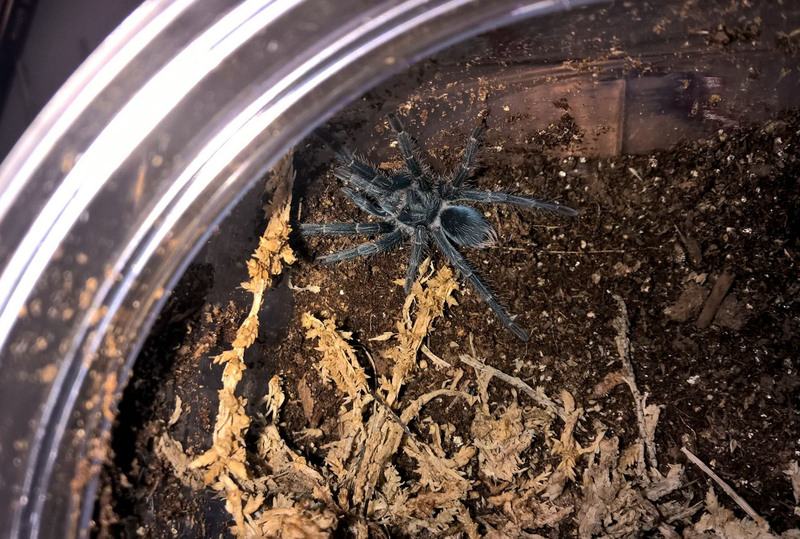 I’ve seen a couple species sold as “sp. purple”, including Phormictopus cancerides “purple”, sp. purple, and sp. south hispaniola. Unfortunately, many of these species look VERY similar to one another, which makes recognizing the difference between the various purple species quite difficult. 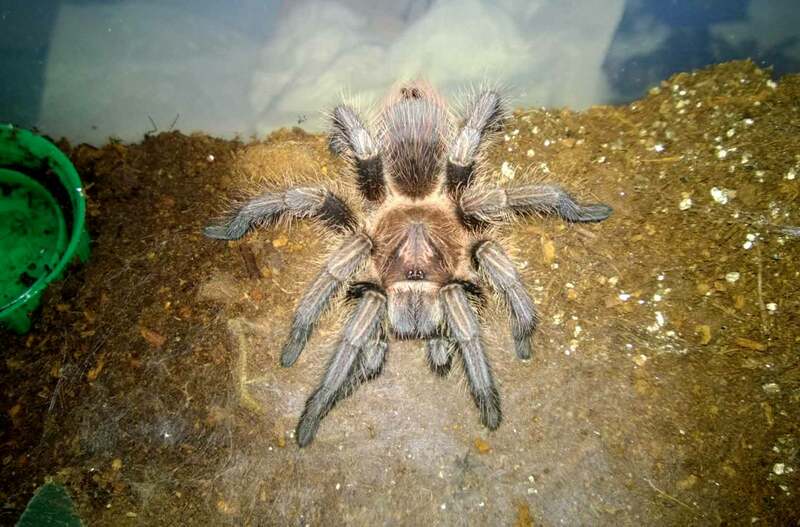 Also, Phormictopus cancerides males are purple, so you can add that to the mix. When I ordered my cautus violets, I asked the dealer if it was possible that this was just another name for the species currently being sold as “purple”, as both are reportedly from Cuba. He thought that the cautus violets were from a different part of Cuba and a different species, despite similar appearances with those being sold as purples. 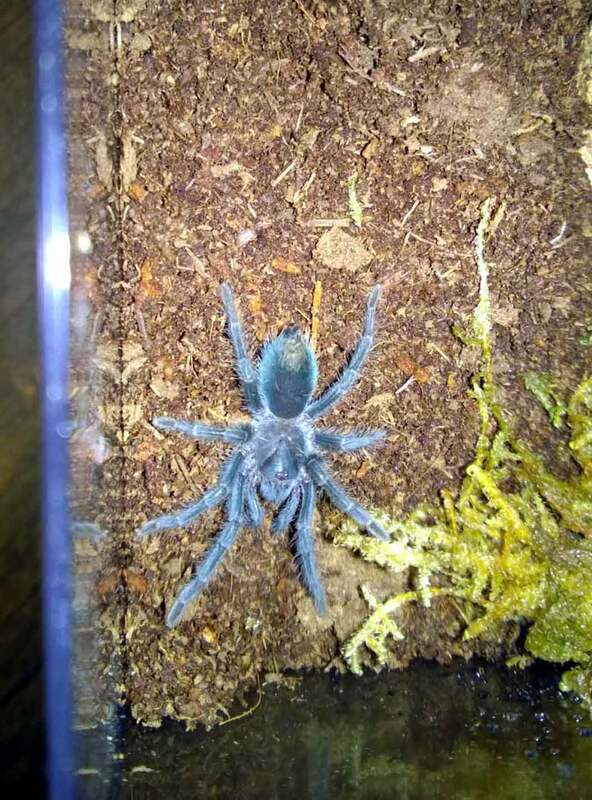 Another breeder I spoke to said that he keeps the “purple” species he gets apart because he worries there may be more than one species being sold as “purple” and he doesn’t want to risk hybridizing them. Quite frankly, I wouldn’t be surprise to discover that they are both the same species. I am taking several photos as both my sp. purples and cautus violets mature from slings to adults, and I hope to be able to do some side-by-side comparisons between them during different stages (namely juvenile, young adult, and mature adult). Hopefully, it will enable folks to recognize some of physical differences. I’m hoping that at some point, someone will start sorting this genus out and we’ll get some definitive answers. Its my opinion that the phormictopus genus are particularly intelligent spiders. Example: I was checking on the health and welfare of 4 different spiderlings I purchased today in the car outside of the FedEx facility. Damn, if they didn’t know what I was up to, wait for me to open the vial, and bolted. They were not panicked. I saw these creatures make a conscious choice about their timing. Afterwards, they knew right where to put their feet so I couldn’t close them back in. These are bright creatures. If they don’t have brains, then clearly their multiple stomachs are being used as thinking organs! 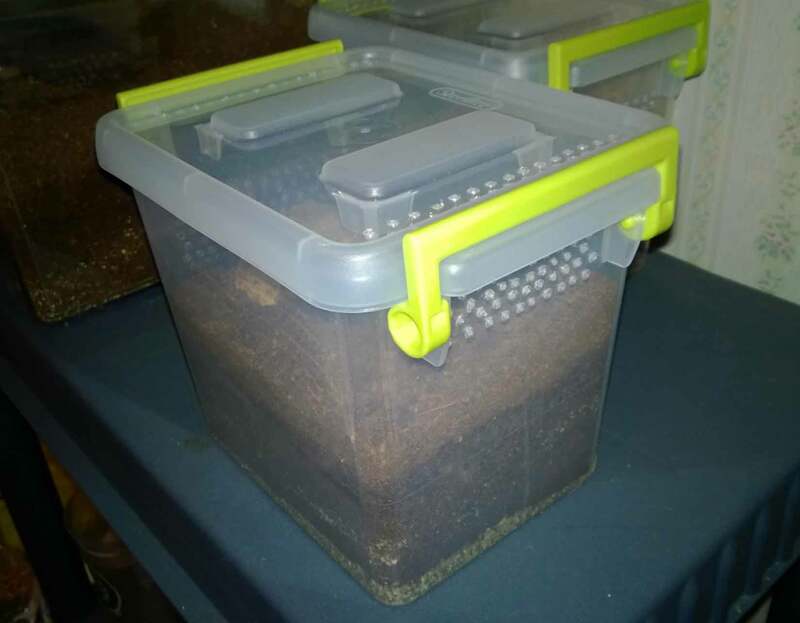 All of the other Genera of spiders I’ve purchased, and believe me, that’s a lot of spiders, have behaved in exactly the same way. But these phormictopus species behave completely differently and just seem more aware in every since. The two pictures of Phormictopus sp. Purple near the bottom of this post, could you please tell me if this is a male or a female. Both were females, but they don’t look like that any more! 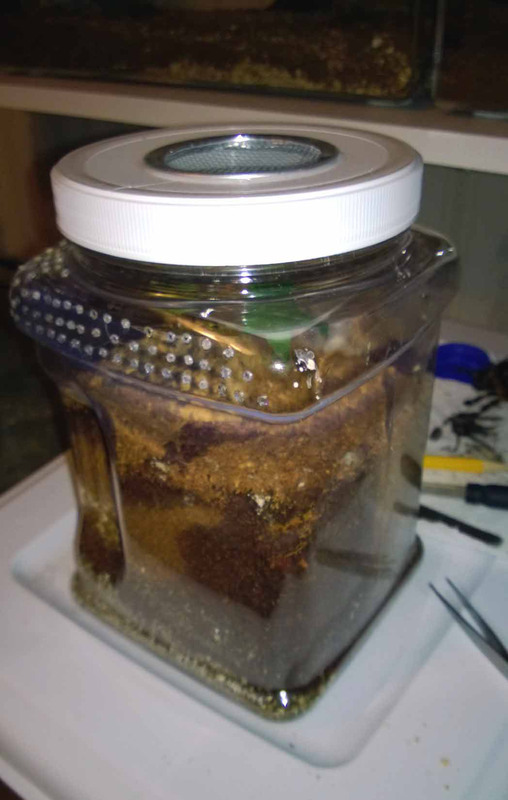 I have a lot of (painfully) slow-growing species and am looking for something different. This definitely sounds like a species I’d be interested in! 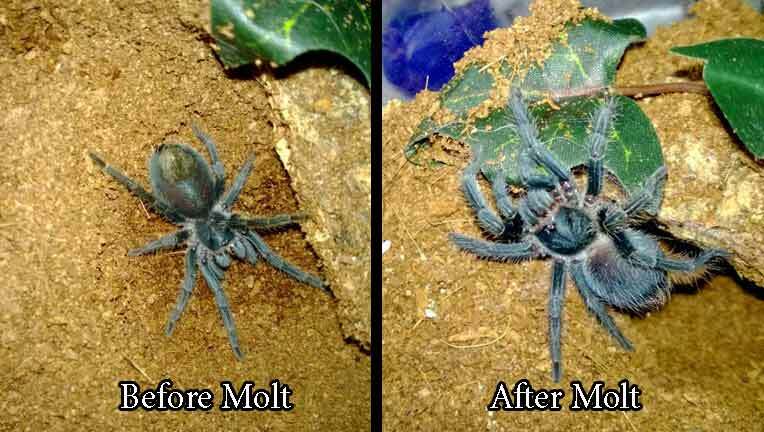 Would you say the cancerides is similar to the A. geniculata in personality and moisture preference? Sorry for the delay! 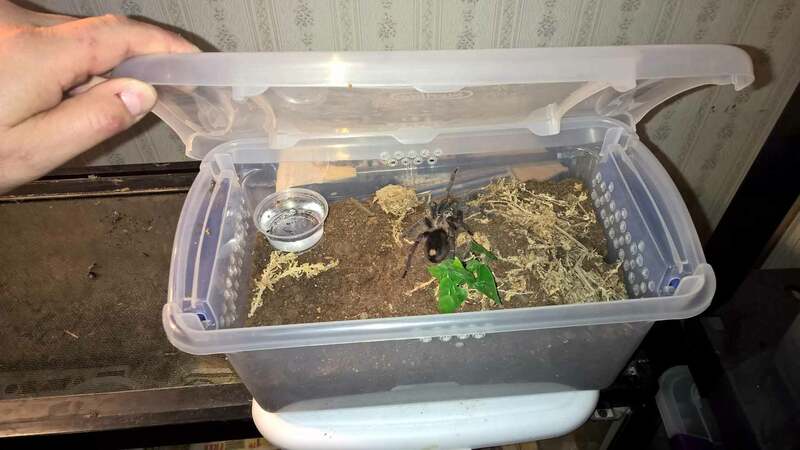 Yes, I care for mine exactly how I care for my A. geniculata. Once they get larger, they do fine on dry substrate with a water dish.